Hello, my name is Shayna Schafter. I am a sophomore at the College of St. Scholastica and currently pursuing a major in Peace and Justice Studies with a minor in Political Science. I hope to either attend graduate school or law school with a focus on International Law/Foreign Relations. Someday I would like work with an organization like the United Nations. My interests lay on a rather broad spectrum. I work in the CSS theatre as a seamstress. I am also an actress and have been involved in a few shows at CSS as well as other theatre companies within the Duluth community. When I’m not acting or sewing, I enjoy exploring via nature hikes (although Duluth winters often restrict these when the temperature drops), reading (one of my favorite authors is Paulo Coelho), and writing. However, my greatest hobby of all is spending time with my very large and diverse family. I believe my family has been one of the biggest impacts on how I have been shaped as an individual. My senior year of high school I had the opportunity to travel to London for a week over spring break. It was wonderful! My experiences there were extremely valuable. 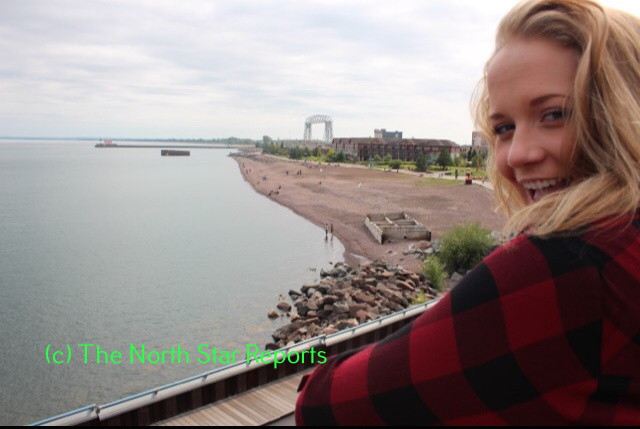 I wish to share what I have learned with others through my involvement with the North Star Reports! I also wish to expand my own knowledge by hearing about the experiences of others as well.